Being in a house with a monster makes you grow up fast. I stopped thinking that things would get better and started figuring out ways to survive the abuse. The first step was knowing where everyone in the house was at all times. But if I couldn’t figure out where everyone else was I most definitely needed to know where he was. Our floors creaked, and so by those sounds and their conversations I could piece together where people were. We had a small apartment so it wasn’t that hard. The second was memorizing the sound our car made so I could know when they got home. I can still hear that sound, along with the sound his feet made against the concrete steps as he walked up them. There were fifteen steps and he dragged his feet. With each and every one of those steps, the fear inside me would grow until it was unbearable. By the time he got to the door I would be trembling, and waiting to see what would happen next. Was he in a good mood? Or was he going to come straight to my room and beat me? The third was trying to become invisible, which was nearly impossible when I was almost always the target. Figuring out what made him mad was easy, the hard part was that everything made him angry. And everything was my fault. I never found a way to make him happy. But my happiness was solely dependent on him. Looking at me now, you’d never know the turmoil I went through as a child and teenager. It seems like a lifetime ago. But you never really get past abuse. It stays with you like an unseen scar that runs so deep it affects every part of you. Like a scarred layer of strength over a layer of grief. And ever so often something will happen to make memories come flooding back that seem to overtake me quietly. I truly believe that there are significant reasons for everything we go through in life. God has made it crystal clear to me that sharing my story with the world is one of my reasons. When I finally decided to share this blog, there was so much fear inside me that it almost crippled me. I had this overwhelming sense that I needed to protect the reputations of my family. But burying what happened and protecting them wasn’t helping anyone. Before I shared my story, no one in my family knew what happened to us as children. And of course, it came as a huge shock. That something as terrible as this continued for seven years without any detection. But that’s why I must share this. Because there are children in the same situation as I was, maybe even going through worse and they need our help. There are people that will read this and see Jesus in my story, and hopefully, they will see Jesus in their own. It was so hard to see Him through all of the chaos and fear. But as with every hard place in my life, when I look back, I know He was there. I wrote these posts based off of journals that I kept to get my memories on paper instead of plaguing my mind. Writing down my hurt was very therapeutic to me. I figured if it was on paper, I didn’t have to think about what happened. The memories of the past rarely surface from the deep places in my mind I’ve pushed them into. I won’t deny I need therapy. But I do know that in the darkest moments, God has helped me through. When I felt my mind was going to split, He was there to hold me. To keep me sane and to keep me going. 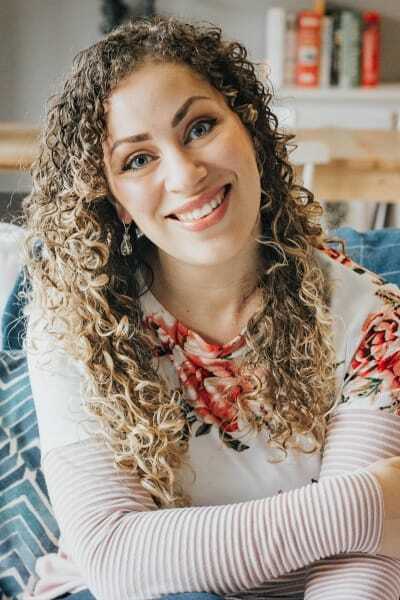 In my previous blog I named my story “The Girl They Never Knew” because unless you were extremely close to me, you had no idea what was going on inside my home. No one ever knew why police were taking me home after school, or why I missed so many days in elementary. I was a master at hiding everything. I still am. When the days come that my past resurfaces in my mind, it takes days to get past it. I don’t write down the memories anymore, so they overtake me. But no one ever knows. I put on a smile, I carry on conversations. And eventually, the memories fade back into the tiny little box in my mind that I push them into. I continue to lie to myself as if it never happened and somehow that makes me feel better temporarily. And I know that it happened for a reason, and that reason can never be that I keep hiding. I’ve never wanted to tell people because I don’t want them to look at my family differently. I don’t want them to see my mother differently. I never know why I want to protect her. And even though I know I shouldn’t, I blame everything on her. And even though I do, I don’t want the world to. You see, I justify my past with knowing that there are people, probably thousands or even millions that have been through worse than me. If it was that bad then why didn’t I turn out worse? Through the years I felt many times that my mind was going to split in half. I always thought that I would have a split personality. But I know the reason why I don’t. Jesus saved me. Through the wreckage, the turmoil and the pain I never saw that He had saved me. I always wondered, “Why would You put me through this?” I’ve asked Him that repetitively for years. I still don’t have my answer. And maybe I won’t get it until I meet Him. But I know that His purposes are bigger than mine. 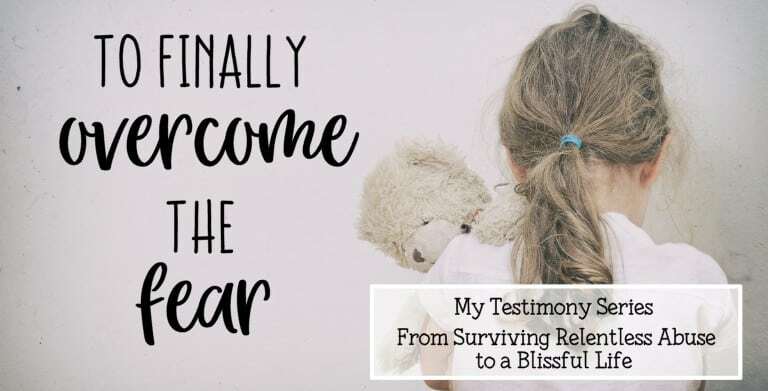 My testimony may mostly be about abuse, pain, and fear. But when I look back I see how God was carrying me. A four-year-old girl growing up in so much chaos shouldn’t be where I am today. But He got me here. I hope to share with you my story, so that you can see what I see. That even in our darkest moments, He’s there. It’s nice to see someone can relate to this! But at the same time heartbreaking that someone else understands this pain!